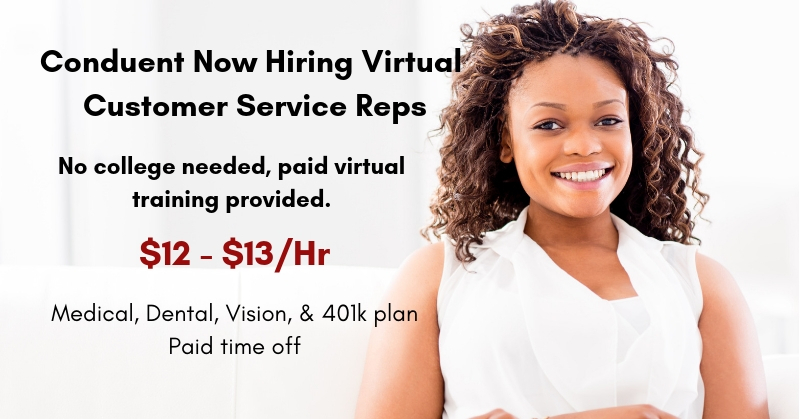 Work from Home Customer Service Reps – $12-$13/Hr. + Benefits with Conduent – Hiring in 37 States! No college needed, paid virtual training + benefits. Enjoy & share! $12-$13/Hr. 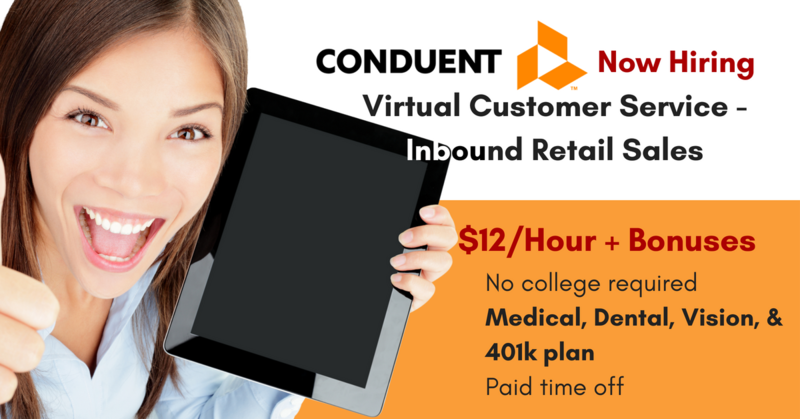 Virtual Customer Service – Inbound Retail Sales With Conduent, +Benefits! 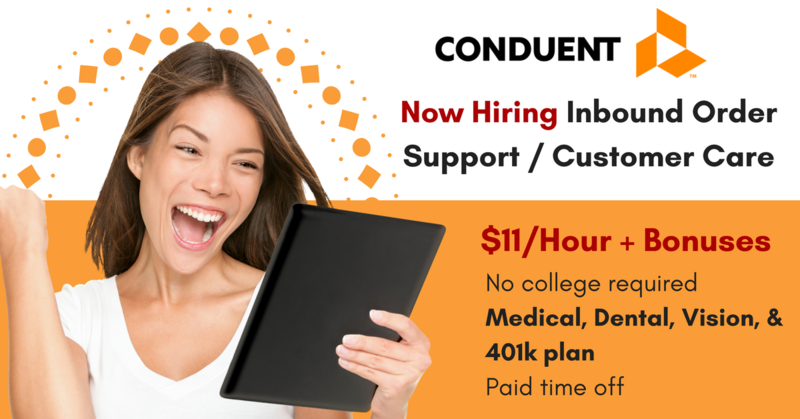 You could be making $11-11.50/hr providing Customer Service (Tech Support) for Conduent – Benefits! Great Opportunity to Work from Home and Make $11/hour and fantastic benefits! Conduent is hiring in 37 US states. Be sure to SHARE this opportunity with your friends!